Russian Defense Ministry has begun deploying the deepwater acoustic monitoring system. 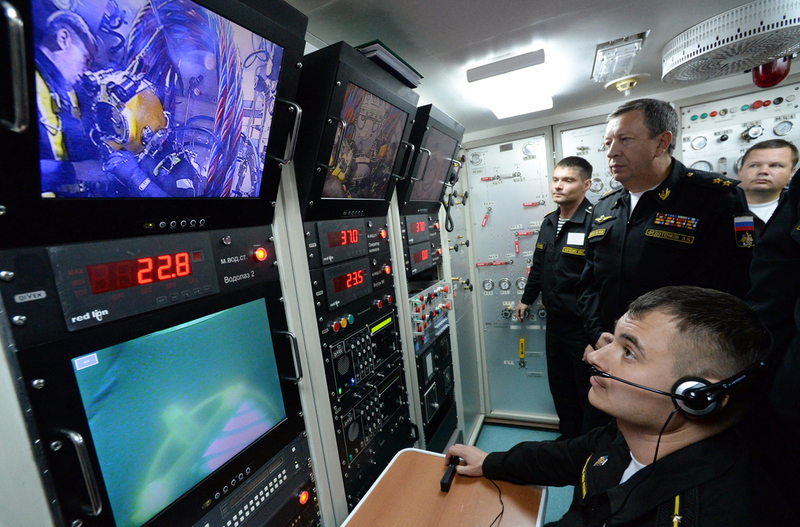 The Russian military is to deploy a global sea monitoring system that will see robotized stations on the ocean bed transmitting intelligence on the movement of foreign ships and submarines to the central command. The Russian Defense Ministry has begun deploying the Harmony deepwater acoustic monitoring system, according to reports by the Izvestiya newspaper. After fully installing the new development in 2020, the military will be able to "see" what is happening in the most remote and previously inaccessible areas of the world’s oceans, including the movements of foreign ships and submarines. The Defense Ministry's general contractor, Spetsstroi, is constructing a new command post for managing the system on the Novaya Zemlya archipelago in the Arctic Ocean. A special plant to produce Harmony's components will be built in the closed city of Severomorsk in the Murmansk Region (930 miles north of Moscow). According to Izvestiya, almost seven billion rubles ($108 million) has been allotted to develop the project. The Harmony system consists of a network of robotized ocean bed stations that can work autonomously at temperatures from minus 10 to plus 45 degrees Celsius (14-113 degrees Fahrenheit). This stability is obtained with the help of special lithium polymer batteries that have an automatic energy-consumption control system. Harmony will use sonars to conduct acoustic monitoring of the world ocean. When it detects an object, it will send a signal along a cable to a buoy floating on the surface, which in turn will send the data through a satellite to the command post. If necessary, the station can shut down by itself and then be picked up by a nearby submarine. Such a system will give the military almost full control of the waters at a distance of hundreds of miles. "We are interested in areas where the U.S., the UK and France deploy their strategic submarines in the world ocean. In the Pacific, the Atlantic and Arctic Oceans," a source from Russia's defense industry told RBTH. He stressed that Russia will be acting in accordance with the Law of the Sea Charter and will not intrude into or carry out military activity in waters belonging to other countries. "The U.S. is deploying similar reconnaissance systems in the Norwegian and Barents Sea, as well as the Sea of Japan. They monitor our submarines attentively with the help of sea systems but also with the help of satellites," added the defense industry source. Viktor Litovkin, a military expert for the TASS news agency, says that the deployment of the new sea monitoring system is part of increasing military competition between Russia and the U.S., which is “resulting in an arms race." In his words, although Russia is trying not to get involved in this race and is limiting itself to what is "necessary and sufficient," the development of military affairs requires the country to spend heavily on new technologies and technical services. Which submarines will deploy the system? Dmitry Kornev, editor of the Militaryrussia internet project, says that Harmony's first carrier was the B-90 Sarov diesel electric submarine, which became part of the fleet in the beginning of 2008. On the following day tests were carried out on several experienced models. However, nuclear submarines appear to be a more appropriate base for this system. The Khabarovsk and Belgorod submarines, which will become part of the Russian Navy by 2020, are more suitable for the role. They will guarantee that the system functions in the best possible way. In particular, the Belgorod is scheduled to enter the water at the end of 2016 or the beginning of 2017. Military historian Dmitry Boltenkov says that consequently, the Russian Navy can start using Harmony on a partial basis in the near future.